Webinars – OpenTech Alliance, Inc.
Moderated by industry experts, our webinars provide in-depth information on the latest technology and tools to improve self storage sales and customer convenience. This informative session will highlight how state of the art technology is now available that utilizes advanced AI and machine learning that prevents and deters crime, rather than just records it. This affordable and intelligent technology also can enhance your self storage customers’ onsite experience as it serves as an engaging platform that recognizes who is on property and can customize messages to tenants. 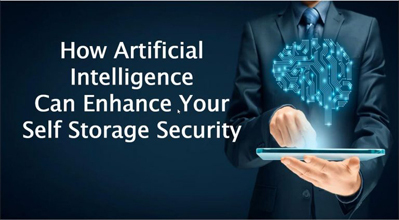 Topics covered will include: How AI and machine learning can enhance and prevent crime at your self storage facility; learn ways to use this intelligent technology as a customer engagement strategy; and examples of how self storage operators are using this technology in the industry now. Some tech trends fizzle out and die, while others transform our world and how we live it. 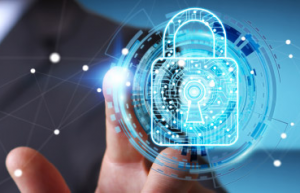 The Internet of Everything (IoE) platforms are re-inventing the self-storage industry to offer smart connected solutions. Learn how an IoE connected platform can provide actionable insights from all this data. This presentation will highlight some of these new developments and technology advancements as they relate to the self-storage business. Do you utilize smart devices in your home to run more efficiently? Ever wonder how we can make these smart devices work in our storage facilities? 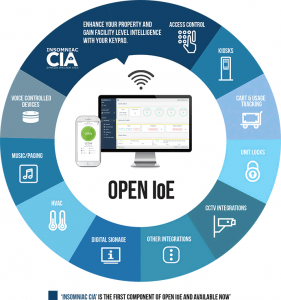 Join Jon Loftin, Vice President at OpenTech Alliance as he introduces the Open IoE of smart connected self-storage solutions as well as our first solution, INSOMNIAC Centralized Intelligent Access (CIA). Operating a facility with one person. The kiosk advantage: self-storage operators unravel fact from fiction. Renting units online: is it for you? OpenTech webinars are an excellent source of information for self storage sales and marketing ideas. Sign up to register for future webinars. Whether you have a question about a webinar or need assistance viewing it, we can help.